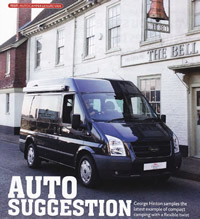 NEW 2012 Transit, due to start production in late 2012, the new model Transit already looks set to increase it’s class leading market share with stunning new aesthetics perfect for a leisure vehicle conversion with a compact footprint and a square load area, this combination is ideal for the Innovative Auto Camper flooplan. Affordability will remain our focus as well as a few new diversifications off our proven platform to expand our range, please bookmark this page or contact us for further news. 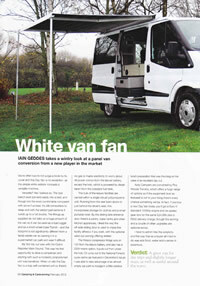 Camping & Caravan Club test report – click below to view. 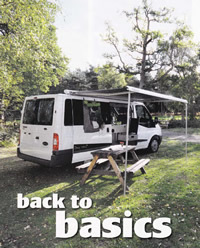 Auto Campers – Practical and MMM NEC reports. 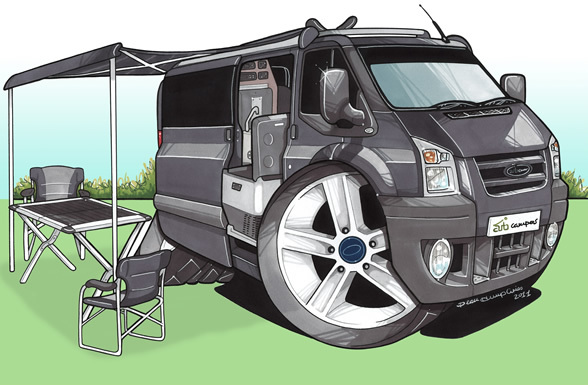 New auto camper image from Koolart for our 2012 calendar. 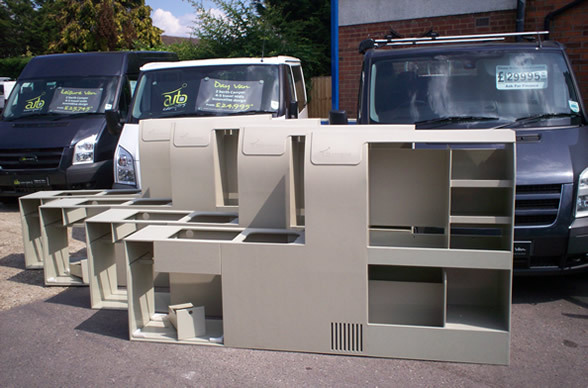 We are delighted with our investment and decision to CNC cut the Auto camper polypropylene furniture, the new curved profiles enhance aesthetics, whilst the ribbed tambour doors slide with ease in identical precision cut runners. The units will now be pre- assembled prior to final installation into each vehicle ready for the patient press to soon test and report! 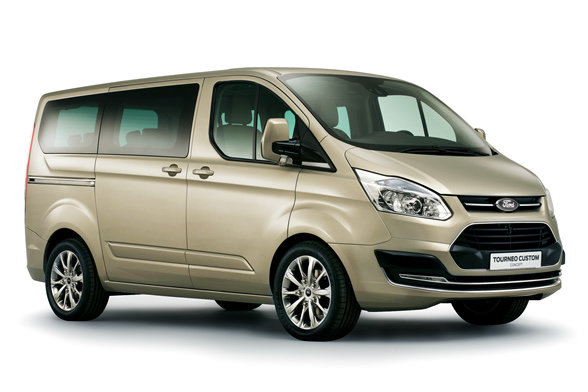 Following submission to the Trade mark register “Auto Campers” has now been registered and is protected to become a leading brand of Innovative Camper. Click here view the Certificate of Registration. 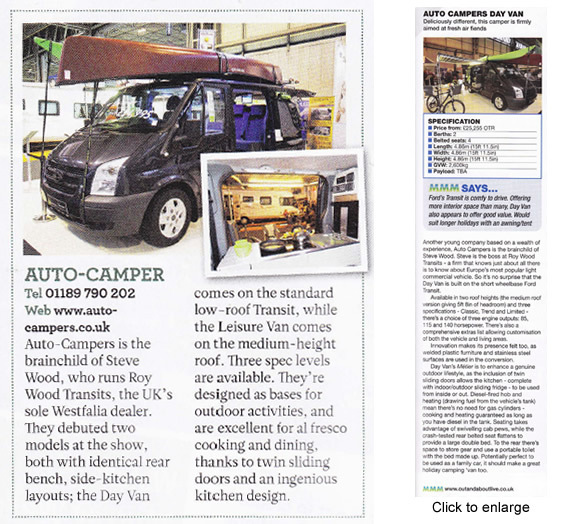 Click here for a press article about the DayVan.